Highfield Pre-School (formerly Bankfield Nursery) is a leading independent nursery school in Harrogate for boys and girls aged 2-4 years. Emphasis is placed on creative, interesting and structured play. This nurtures emerging academic skills and develops opportunities for social interactions. In academic terms, children take their first steps in decision making, problem solving and communicating. Socially, they make friends and learn to show respect and consideration for others. 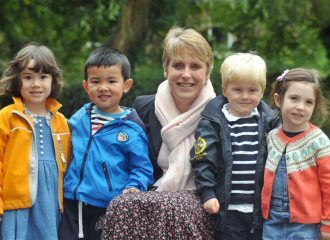 What Makes Highfield Pre-School Different? 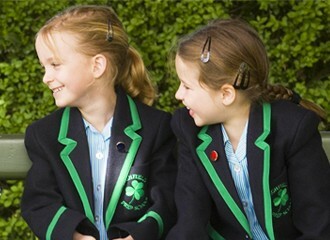 Our facilities – Our pre-school occupies a large Victorian family house in the Duchy area of Harrogate. Our investment has transformed the house into a stimulating environment with outstanding facilities for pre-school children while still maintaining a home from home atmosphere. 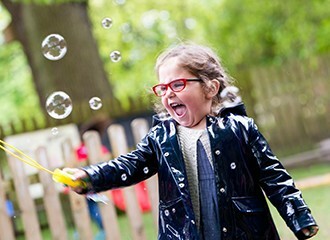 We also have the largest outdoor space of any nursery in the area and have access to a wide range of additional facilities at Harrogate Ladies’ College. 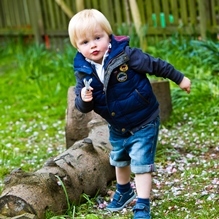 Our focus on child development – Children at Highfield Pre-school develop quickly thanks to our structured timetable and our Early Years Curriculum. 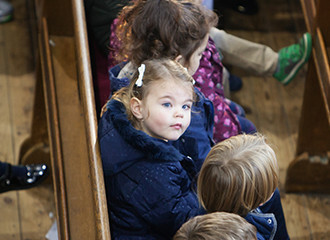 By the time they start school, Highfield Pre-School children are equipped with the social and academic skills they need to enable them to continue to flourish. Our pastoral care – Each child at Highfield Pre-School is assigned a key worker who is responsible for their all round well being. Children and parents also receive fabulous support from our award winning catering team; our dedicated on-site health centre; and our chaplains. Our staff – As you would expect, we have a high staff:child ratio and all of our staff are either qualified Early Years Practitioners or qualified teachers. What makes them different though is their total commitment and dedication to the children. We hope that our website will give you a glimpse of what Highfield Pre-School is like, but please do come and visit us to get a full sense of what Highfield Pre-School has to offer to both children and parents. To arrange a visit please contact our Admissions Team on Harrogate (01423) 537045 or email admissions@hlc.org.uk. Alternatively, please feel free to complete the form below.